Asia's leading pharma industry event with 1,350 exhibitors and 300 speakers! 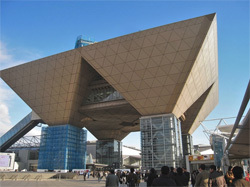 INTERPHEX Week Japan consists of 4 exhibitions for pharmaceutical technologies - INTERPHEX JAPAN (Manufacturing & Packaging), in-Pharma Japan (Ingredients), BioPharma Expo (Biopharmaceutical) and PharmaLab Japan (Drug Discovery). INTERPHEX Week Japan 2019 will have 1,350 exhibitors and 300 speakers, making the event as one of the largest pharma industry events in Asia.